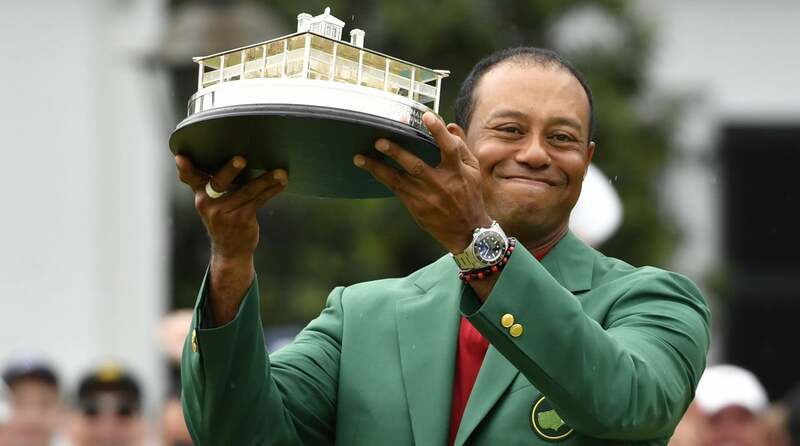 President Donald Trump announced on Monday that he will award Tiger Woods with the Presidential Medal of Freedom after his victory at the 2019 Masters Tournament. Trump took to Twitter to announce the news. Tiger Woods will receive the Presidential Medal of Freedom from President Trump. Trump and Woods are good friends who have frequently been seen playing golf together in Florida. As Tiger was in contention during this past Saturday’s third round of the Masters, Trump joined in on the praise for Woods. And when Tiger won the green jacket on Sunday at Augusta National to claim his fifth Masters title, the 45th president went on a tweet-storm cheering on the now 15-time major champion. Now, Tiger will be earning another honor: The Presidential Medal of Freedom. Bestowed by the president, the award is one of the highest civilian honors in the United States. It’s given to those who have made influential and significant contributions to the well-being of the country. It came into existence in 1963 under President John F. Kennedy. There have been tens of hundreds of recipients of the award since its establishment, and many have come from the sports world. Woods becomes the fourth golfer to ever receive the honor. Arnold Palmer and Jack Nicklaus received the award in 2004 and 2005 from former President George W. Bush. Charles Sifford, the first African-American golfer to ever play on the PGA Tour, received the award from former President Barack Obama in 2014. While the award recipients are usually honored at the White House in a special ceremony, maybe President Trump will present Tiger Woods with the Medal of Freedom on a golf course.